The scenic views of Japan are so breathtaking yet so effortless since it is in their culture to remain conscious about keeping their environment and surroundings beautiful. Devin and I quickly get ready and pack our bags before heading down for breakfast. “What’s Beppu Koi like?” I ask Devin over breakfast. “Really good. 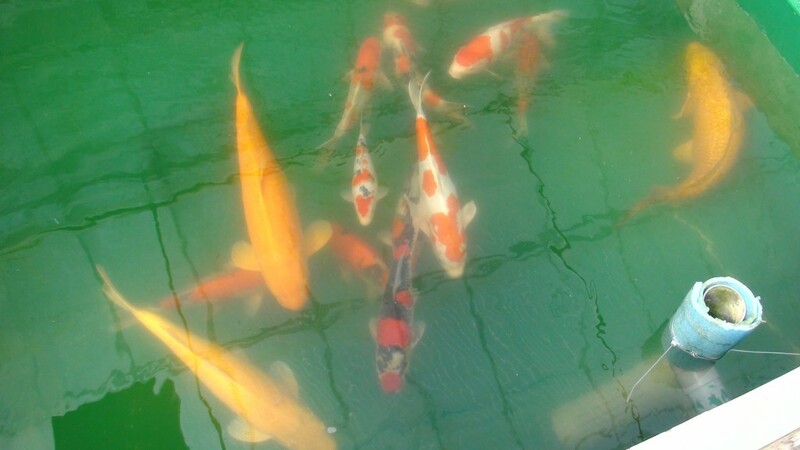 They’re a lot like Sakai (of Hiroshima) fish since their parent stock are from there. 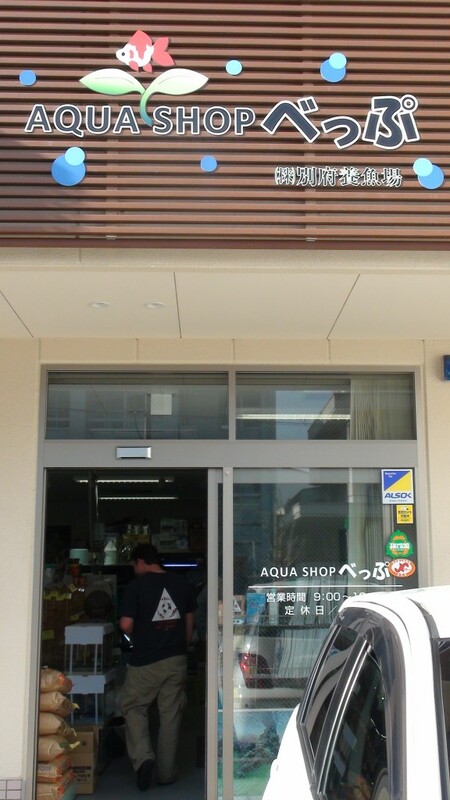 Also, he trained at Sakai Fish Farm for five years, so he’s got some really impressive Koi.” Devin replied. Beppu san came to pick us up at a quarter past ten. After checking out of the hotel, we piled our bags into his car and readied ourselves for the panoramic 45 minute drive past the shoreline and into the mountains. Upon arriving at his farm, we were greeted at the door of the greenhouse by one of their dogs, Mocca. He is absolutely adorable and was so affectionate towards Takaharu-san. Aren’t they so cute together? We enter the greenhouse closest to his home that housed two-year olds and oyagoi (parent fish) and I was immediately blown away by the quality of Koi that they were producing. Beautiful, thick and rich beni lay atop a evenly-proportioned, bulky body. 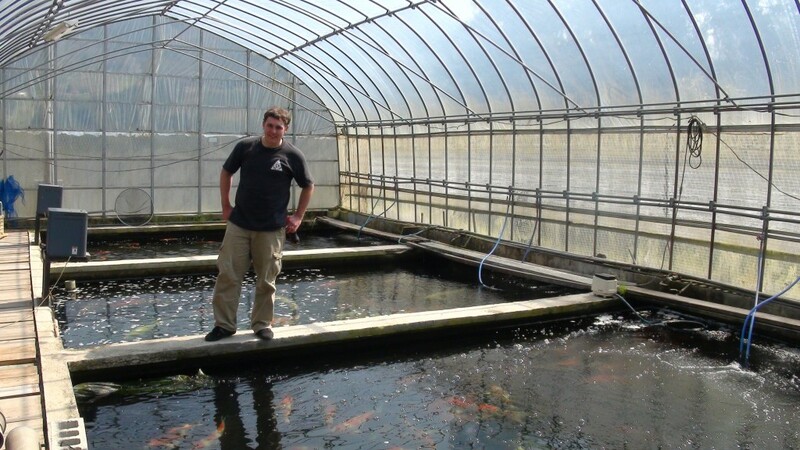 As I mentioned in my previous post, Devin had first visited Beppu Koi Farm in the fall of last year. However, in addition to his trademark smile, Beppu san and his family also shared a “trademark laugh”. During their first visit, both Devin and Shawn were eager to purchase some of their nisai to sell in the United States. 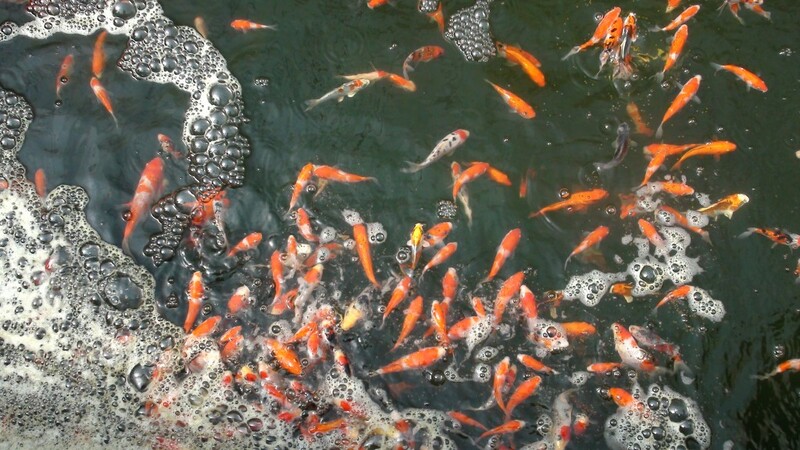 However, every time they asked for price or if they could buy a Koi, they would all just laugh. Shawn and Devin, not quite sure what they were laughing about, would just join in on the fun and laugh as well since it seemed like the cool thing to do. I turned to Devin eagerly. “Do you think we can buy some fish this time?” I ask. “I hope so!” Devin responded. “If we don’t, at least I get to hear the trademark laugh!” I reply with a smile. Perhaps it was because there wasn’t any fish available for sale at the time or maybe because it was only their first time to go, but typically buying fish in Japan has a lot to do with relationship between the breeder and the buyer. 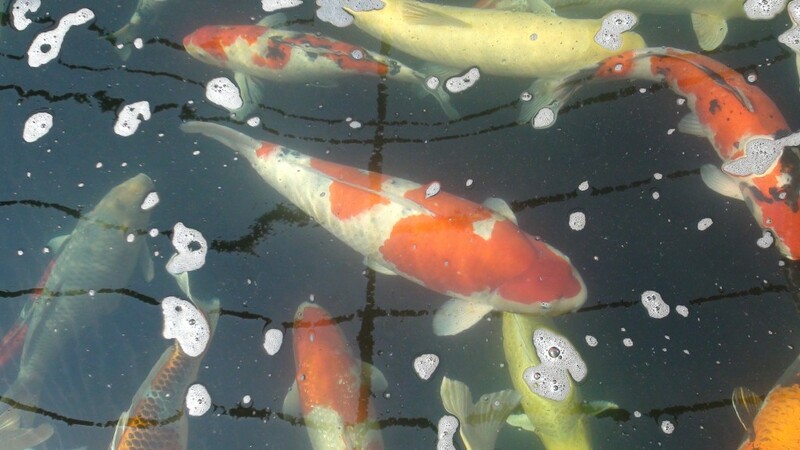 Having the ability or desire to buy Koi is not the only factor that the Japanese consider when you come to their farms. Most of the time, you would be lucky if they even showed you their best fish as some farms in Japan keep their best fish only for their best customers. Relationship is everything, and in order to protect that relationship, one must always remain conscious of the fact that the Japanese culture is very traditional. There are certain ways of doing business and the conscientious dealer would do well to learn and remember proper etiquette that could make or break a relationship with the Japanese. 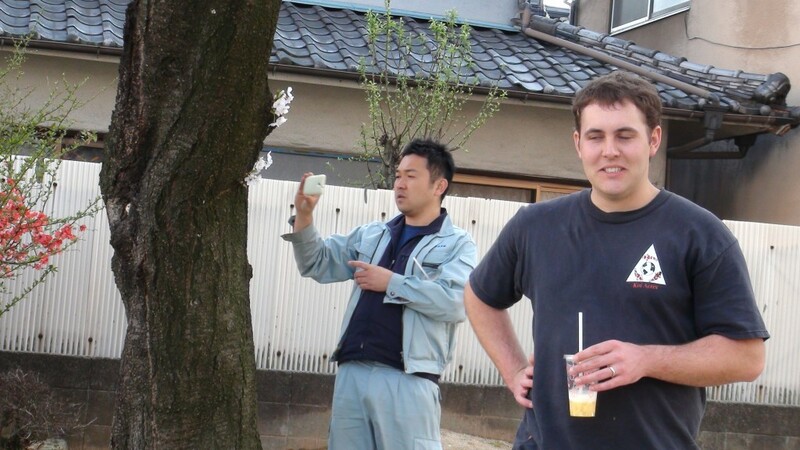 While they are quite forgiving to the gaijin (literally translates to “outsider”, but is also the word for “foreigner”) and the cultural differences, they would of course have a higher respect to the gaijin who takes the time to understand Japanese etiquette. 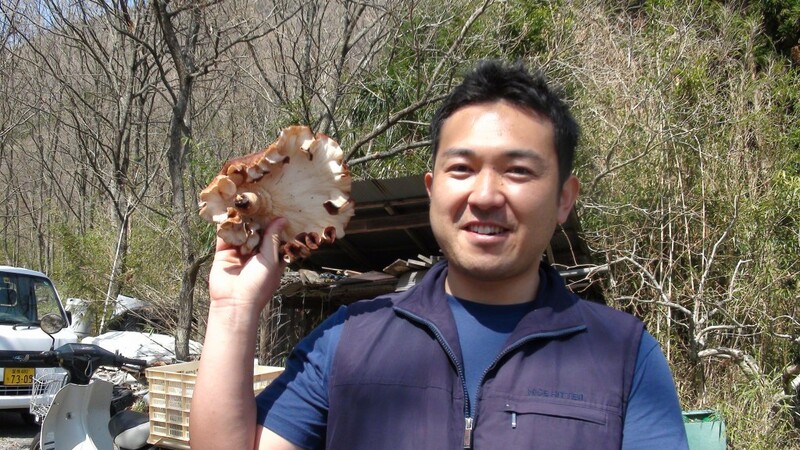 Knowing that Devin was interested in his Jumbo Tosai, Takaharu-san takes us to his tosai house to show us this year’s tosai produce. We weren’t disappointed as the same large bodies and shiny skin greeted us when we peered into his tosai ponds. 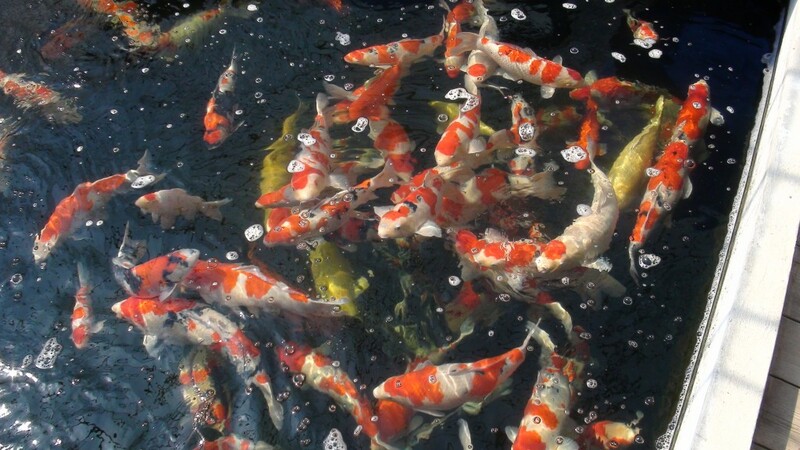 While there was not as much Koi as that of some of the larger breeders, the quality more than made up for the quantity. “Are you selling this koi?” he asked. Yatta! Devin and I smiled at each other. 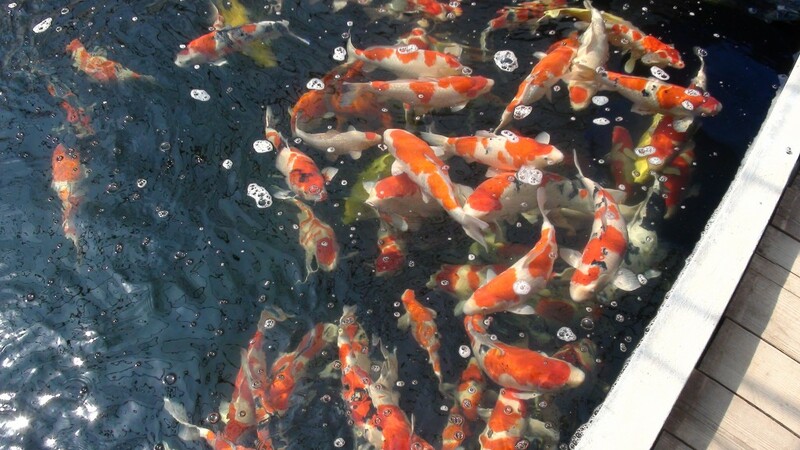 We would be bringing home Koi from Beppu Koi Farm! 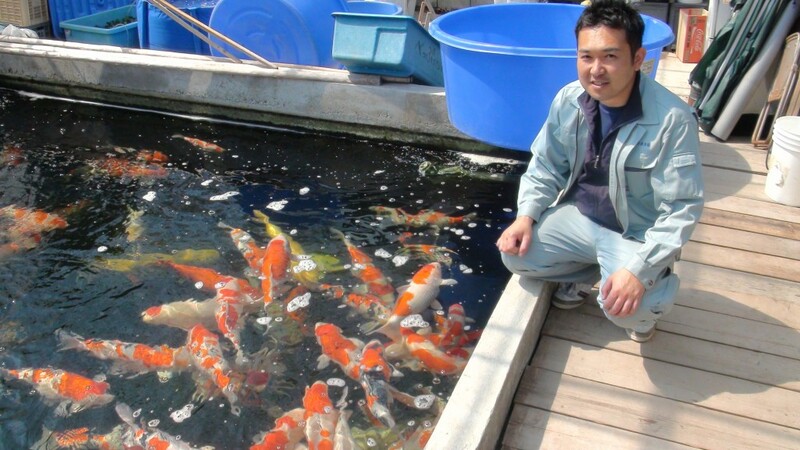 There were still ponds that needed to be harvested, and since we didn’t have all the Koi that were available to select from, Devin and Takaharu-san agreed that it would be best if Takaharu-san would pick fish out for him instead. We returned to the main oyagoi house to look at fish again, and this time I remembered to pull out my camera to photograph some of the oyagoi. “This one is the number one oyagoi. 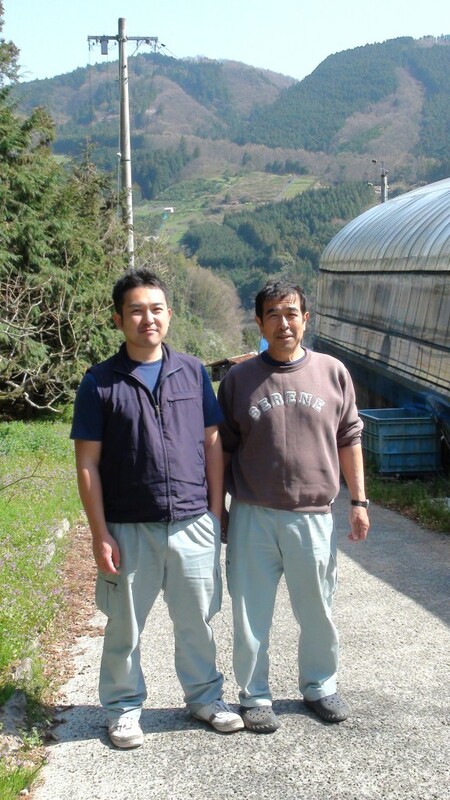 From Sakai Fish Farm” Takaharu shared with us. 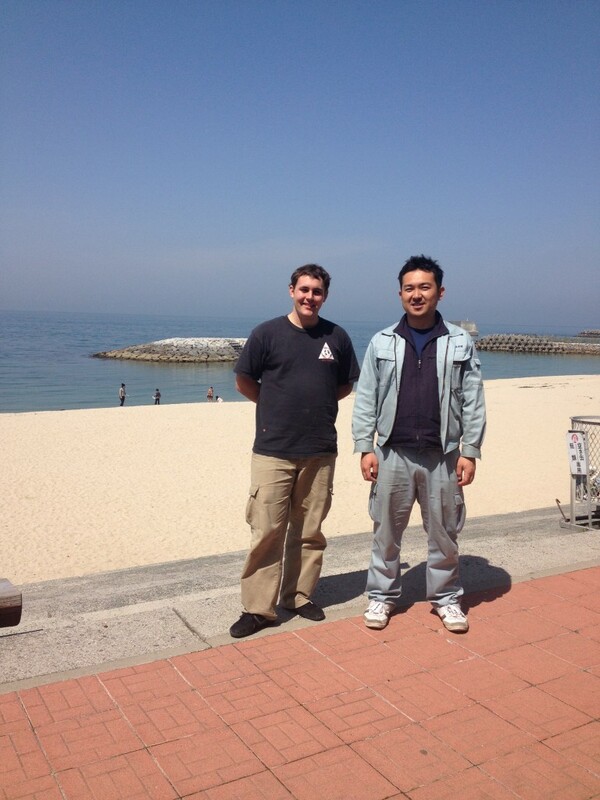 This is one of the reasons why I love coming to Japan: I get to see Oyagoi. For the most part, Koi keeping is really just a game of chance: chances are the sumi will come up, chances are it won’t; chances are the beni will break, chances are it won’t; chances are the body will fill out, chances are it won’t. 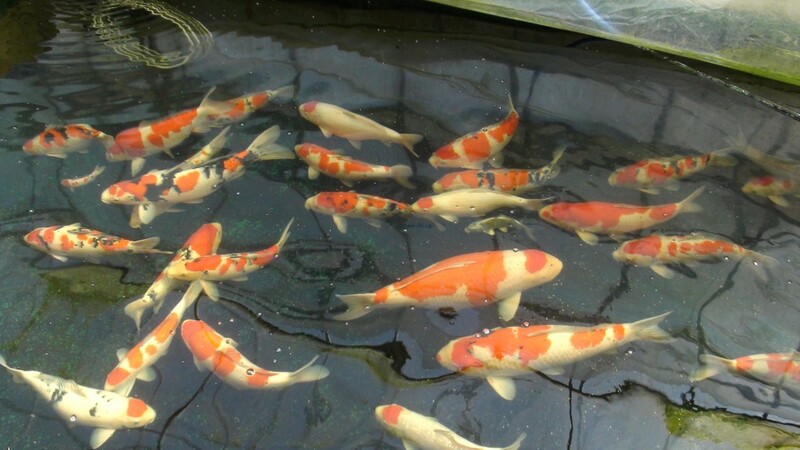 Koi is one big gamble, and like most gamblers, we do our best to minimize the guesswork in the hobby. Seeing the Oyagoi gives us some sort of framework to build upon. We can see which traits the oyagoi passed on to its spawn and how we can expect it to develop. It isn’t a precise insight, but it is an insight, and in this hobby, we all take whatever knowledge we can get. 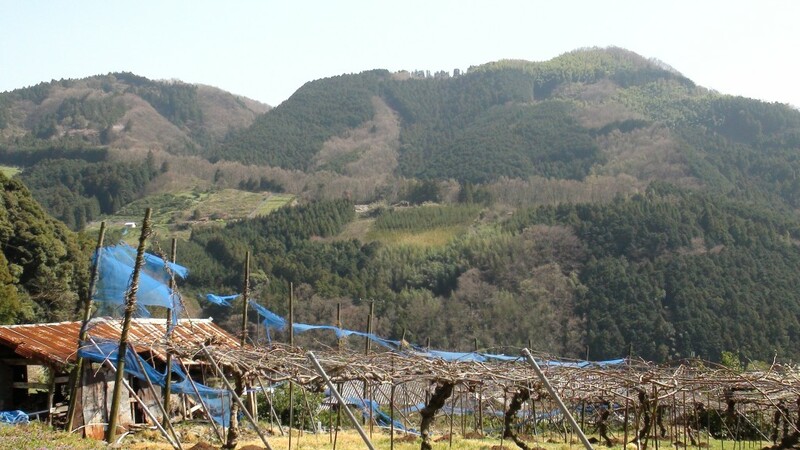 Beppu Koi Farm is situated in lowlands surrounded by mountains covered with Sakura trees on all sides. 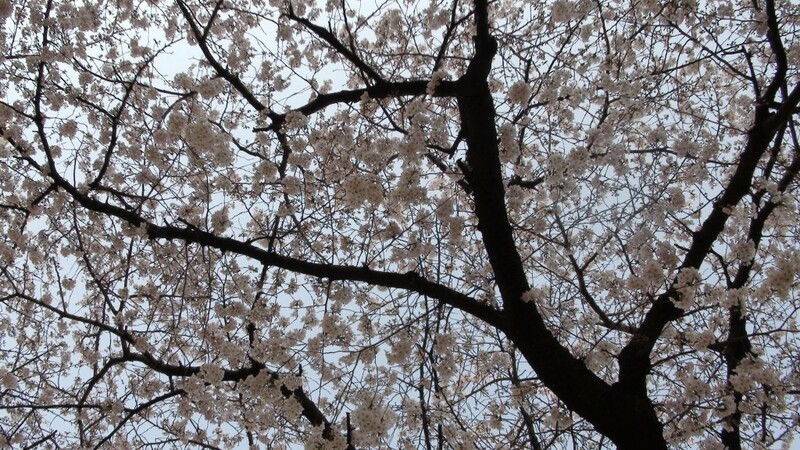 “In about two or three days, all the Sakura trees will come into full bloom. It’s too bad you’re going to miss it.” Takaharu-san relates. 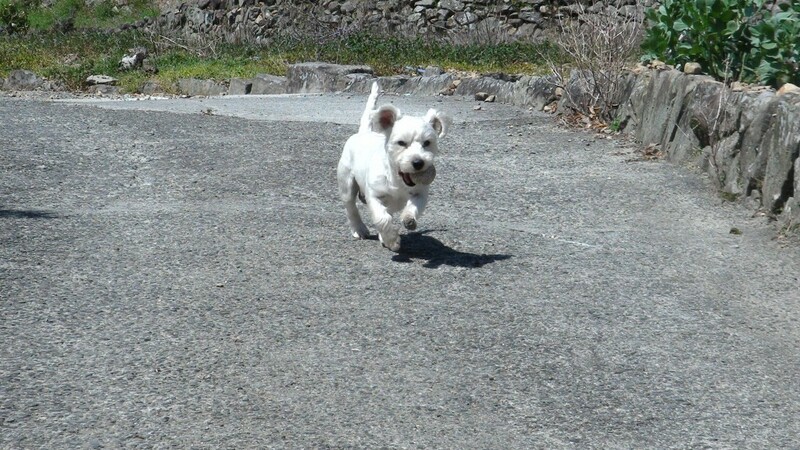 “What!? Devin, can we stay a few days longer here? I wanna see it! !” I ask Devin with hopes way too high for my own good. 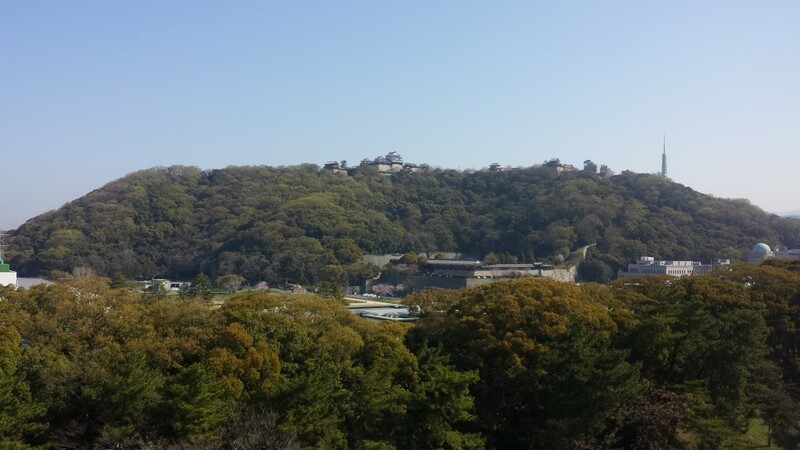 Do you see all those brown-ish patches between the greenery in the photo? 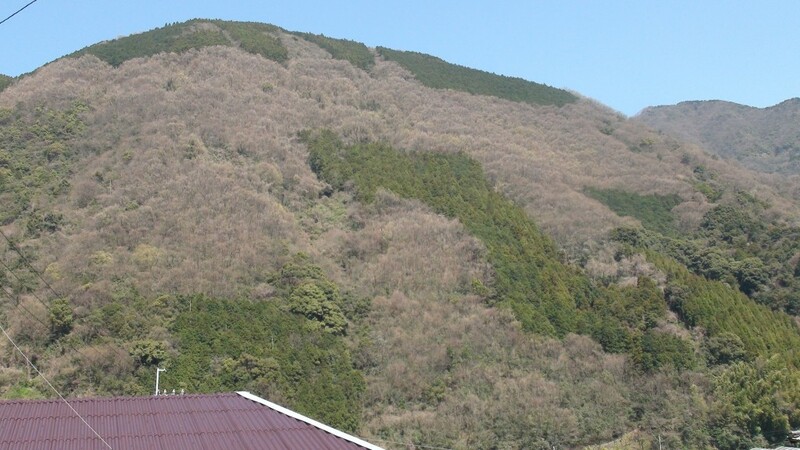 Those are all Sakura trees. Can you imagine what the entire mountain would look like when they do bloom? Simply breath-taking. One day I hope to see them. 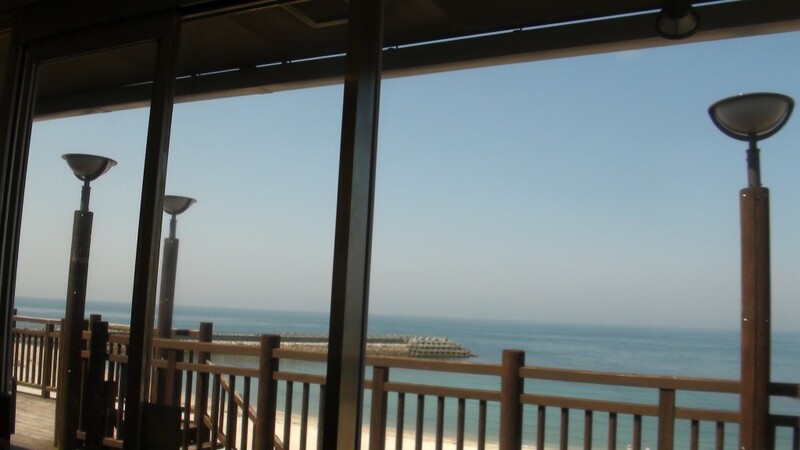 By the time business was settled, it was lunchtime so Takaharu-san invited us to eat out. After lunch, we walked around the area to get more photos. 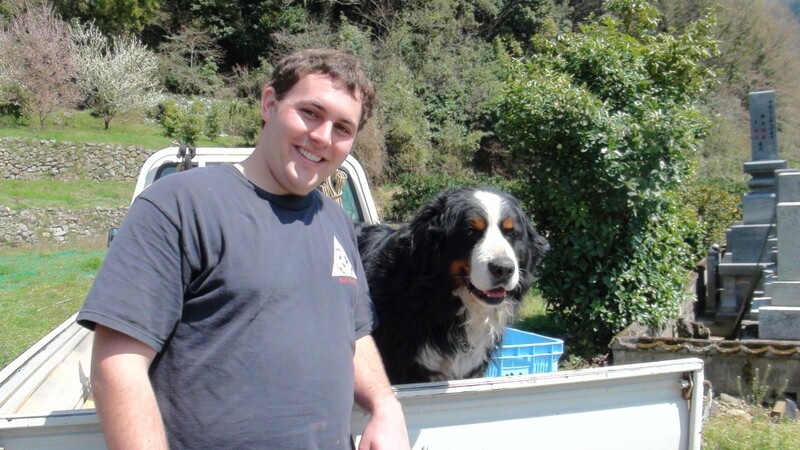 When we returned, I got to meet Beppu Koi Farm’s version of Loki (Koi Acres’ Farm Dog). 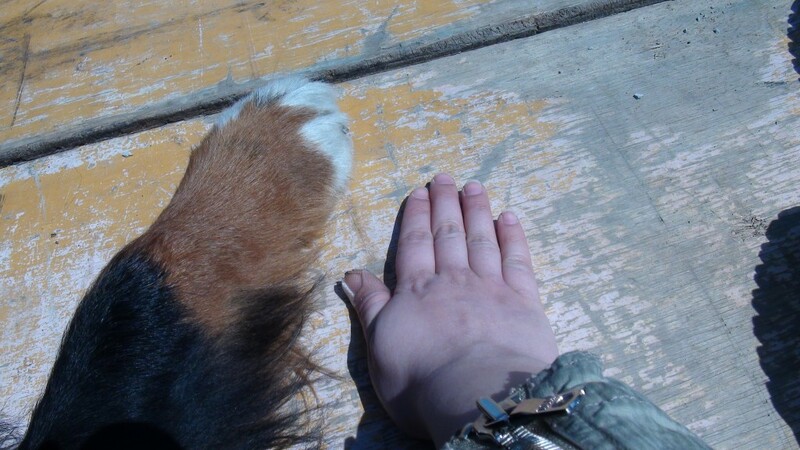 He was so big and his paws were bigger than my hands!!! 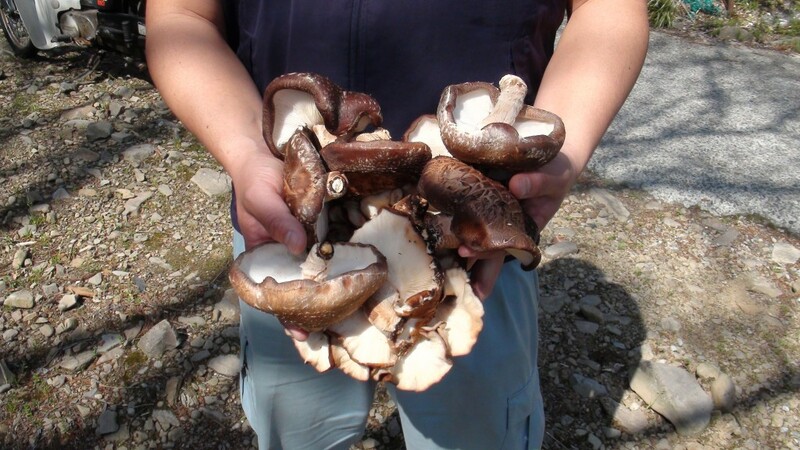 And we also ran into an elderly couple coming down from the mountains with the biggest Shiitake mushrooms I had ever seen in my life! We hang out for a few minutes longer before it was time to head into the city. 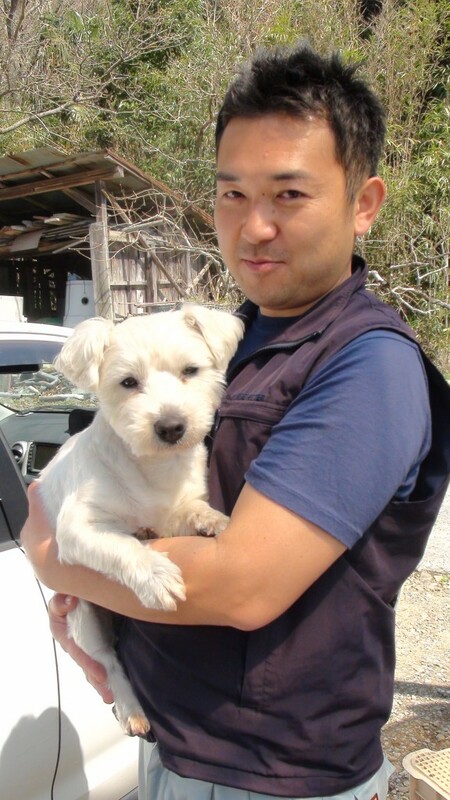 Takaharu’s Family also owns a pet shot, which was just down the street from a small park that had Sakura trees. Since Devin had to conclude some business at their retail facility, we headed down there first before going to the station. 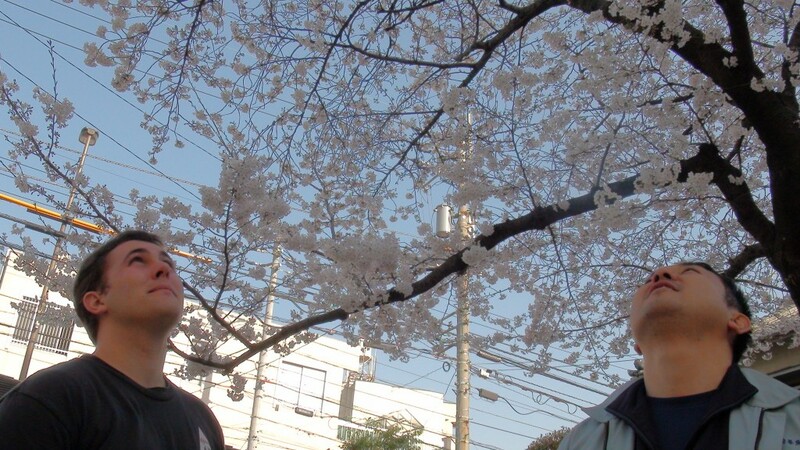 On the way there, we see a bunch of Sakura trees in full bloom. We headed to the train station to catch our train heading towards Nagoya for the Wakagoi Show. After having experienced all of that, I have to agree with Devin and Shawn. Matsuyama probably is the most romantic place in Japan, and Koi is the perfect reason to keep coming back. Thank you so much for the wonderful hospitality, Beppu Koi Farm! See you tomorrow at the show! Thanks for the ‘tour’ MIkki! 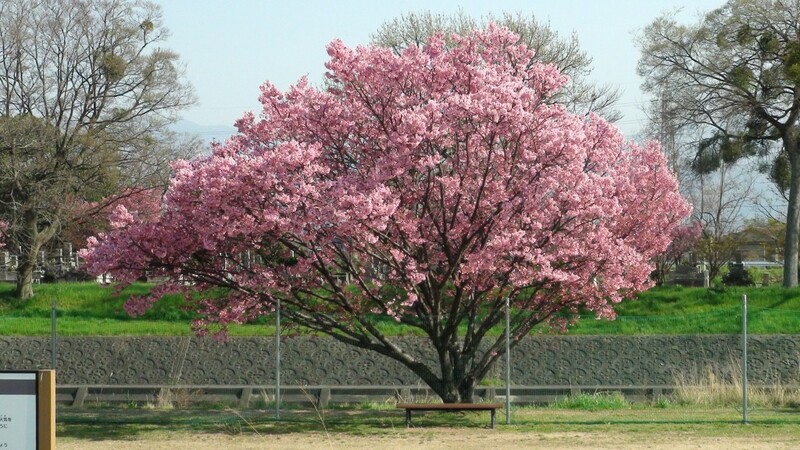 I think Dev should have let you stay for the Sakura show though. . Very beautiful photos & I loved the “trademark laugh” with Beppu koi farm.